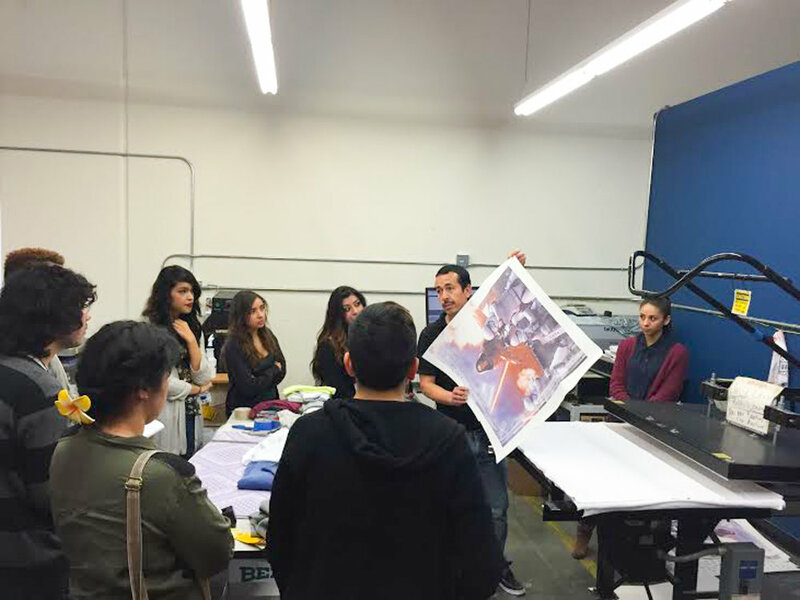 artworxLA Advanced Program students participated in a hands-on tour of Hybrid Apparel's design and production facilities in March 2015 . As a part of their fashion residency with our partner Otis College of Art and Design, fashion students have been exploring how iconic men or women that inspire them have worn Levi’s over the company’s 100-year history. With guidance from Hybrid Apparel's designers, artworxLA students selected denim and fabric garments from Hybrid's production floor. Through the process of adding, taking away, or manipulating the garment/fabric, students will create something new that is inspired by their icon. Older PostartworxLA student release their first EP album!